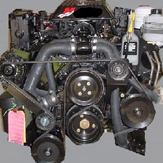 We offer new mercury and mercruiser engine sales and repowers at great rates. Our factory trained technicians service I/O engines, inboard engines, and outboard engines. We can give you the peace of mind that comes from knowing that your boat is always ready to go when you are. Coastwise Boatworks is known for prompt response and courteous communication throughout the entire service process. Our complete system of customer care, service, communication and accountability is tailored to your particular vessel's requirements to ensure hassle-free boating. We are a Mercury Outboard, Mercruiser and Volvo Penta service franchised dealer. Re-Power with a new mercury outboard for as low as 4.99% for up to 12 years call 203-866-4041 or email for more details.